The tenants in a recently acquired property were reporting constant leaks in their spaces. Fearing the worst, the owner contacted ACS knowing that they would determine the most economical solution by gathering information. 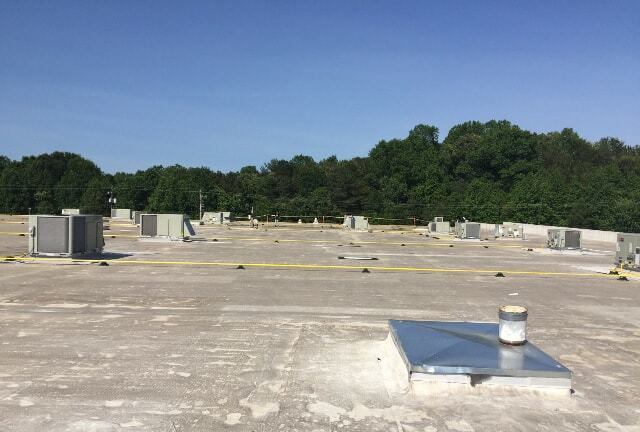 While a thermal scan would be acceptable, ACS referred the client to a roof consultant who specializes in Nuclear scanning which maps out locations of moisture in the roof system. This allowed ACS to determine not just the location of moisture but the amount, making their proposal costs detailed on the front end without the chance of unknown change orders. 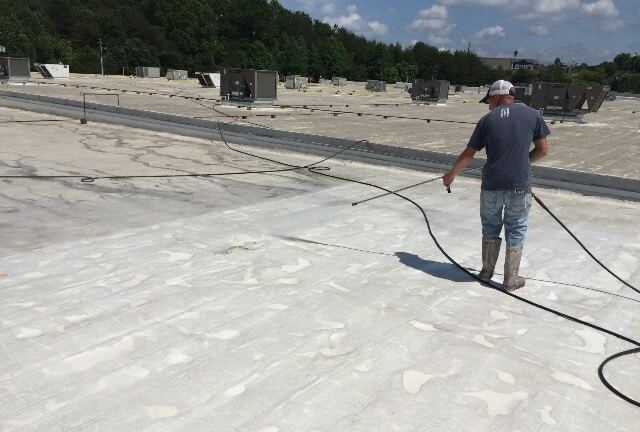 ACS recommended installing a GE high solid silicone system because the only product that adheres to existing silicone is more silicone. 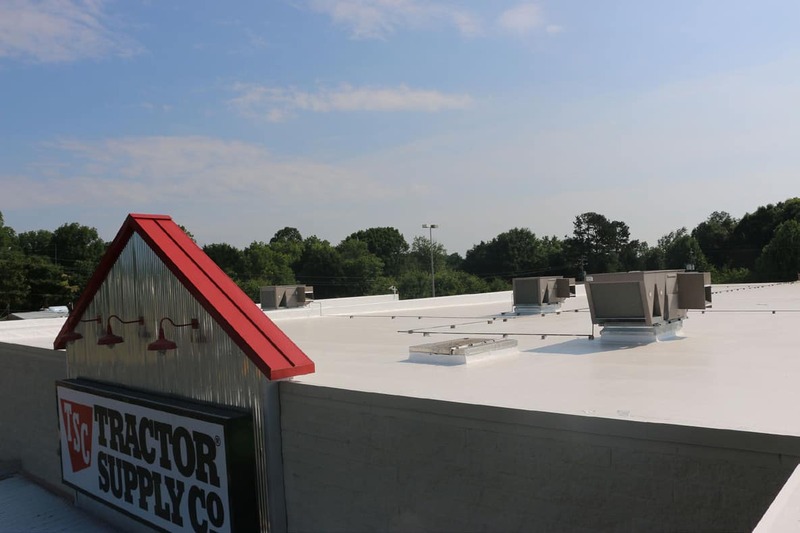 By restoring the existing roof vs. removing and replacing the roof, Big V Properties saved hundreds of thousands of dollars again and the project was completed in just fourteen days with no tenant disruptions.